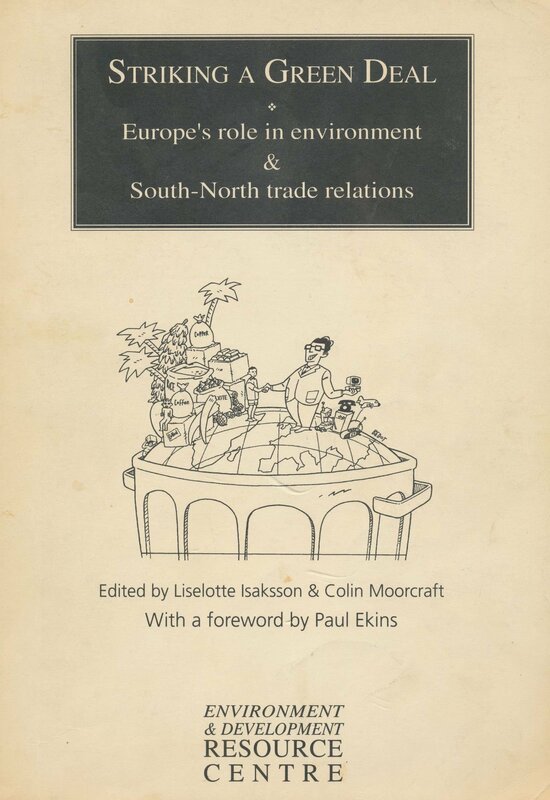 The ERICA Programme which operated through 1998 focused on Europe's Role in Environmental Aspects of North-South Economic Relations (aid, debt, trade and investment), including the establishment of the International Working Group on Environment, Trade and Development. 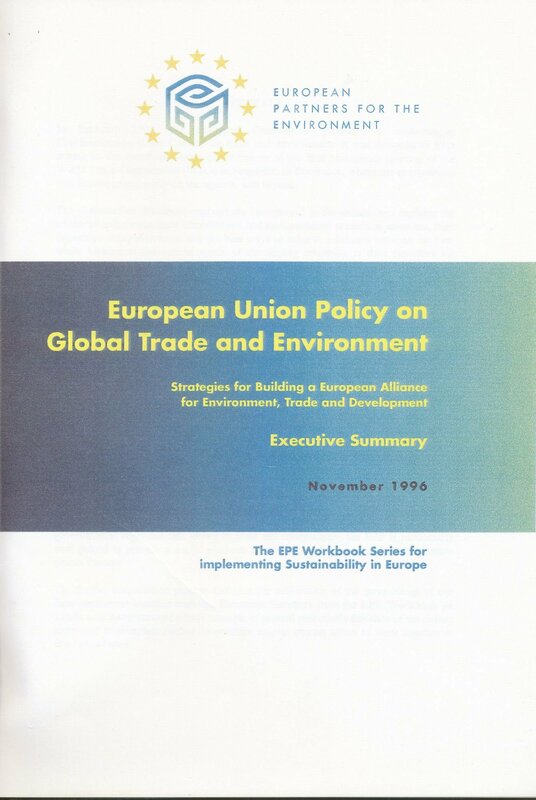 This programme dealing with EU external relations concerning aid, debt, trade and investment, included the establishment of the International Working Group on Environment, Trade and Development (IWGTAD) in 1990, the Striking a Green Deal conference at the European Parliament in 1993 and other events and publications from 1996 through 1999. Its more than 250 members worked to identify and promote ways to achieve an international trading system contributing to a high level of environmental protection as well as economic benefits for the developing world. The group provided a framework for information exchange between official and NGO experts working on the environment and trade interface. The work culminated with the conference on Striking a Green Deal: Europe's role in Environment & South-North Trade Relations organised by EDRC with MEPs and involving ca. 150 participants at the European Parliament, Brussels, November 1993. In the lead up to the conference twenty-five specialists from different world regions provided background papers on a wide range of issues linked to the environment and trade debate. Each paper concluded with recommendations, including policy proposals primarily directed at European institutions. In related work, EDRC assisted in setting up the International Centre for Trade and Sustainable Development (ICTSD) with EDRC’s Director serving as the first Chairperson of the ICTSD Programme Advisory Board, Geneva, 1996. EDRC also organised for European Partners for the Environment (EPE) and the European Commission (DG Environment) the EPE Conference on Trade and Environment, Brussels, 24-25 June 1996 resulting in the EPE publication European Union Policy on Global Trade and Environment: Strategies for Building a European Alliance for Environment, Trade and Development, EPE, Brussels, November 1996. 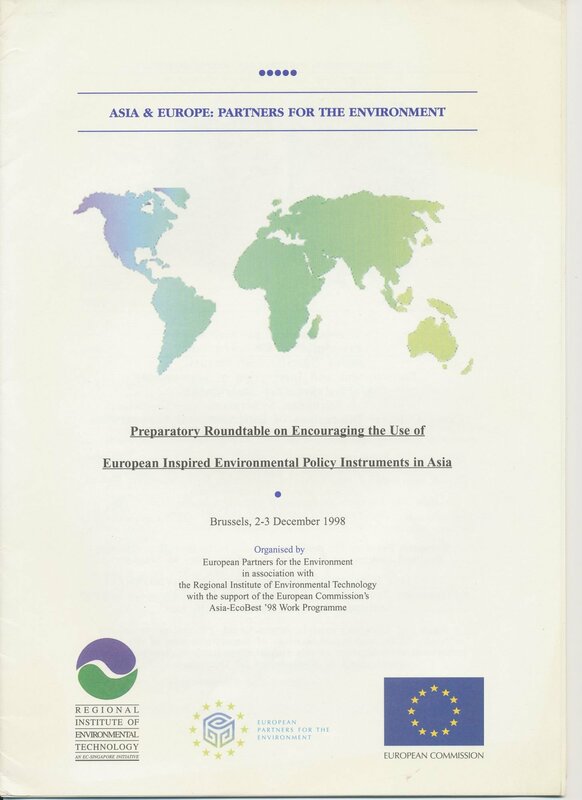 We also organised for EPE and the Regional Institute for Environment and Technology (RIET-Singapore) the conference on Asia and Europe: Partners for the Environment - Preparatory Meeting on Encouraging the Use of European Inspired Environmental Policy Instruments in Asia, Brussels, December 1998. That year we also organised the Corporate Membership Promotion Project for the European Waste Club (EWC), Brussels, 1998. In 1999, EDRC produced a report on Environmental / Sustainability Reviews of EU Trade Measures and Agreements for the European Commission, DG Environment. 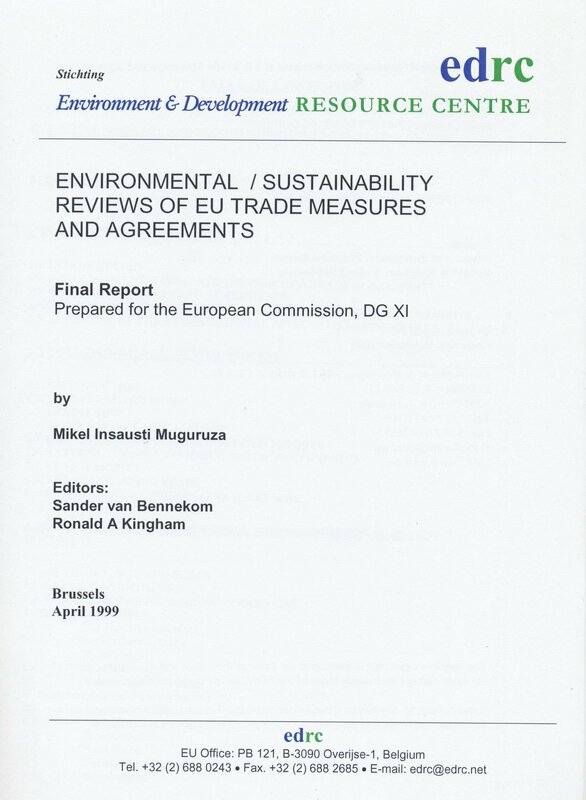 Mikel Insausti Muguruza, Environmental / Sustainability Reviews of EU Trade Measures and Agreements: Final Report – Prepared for the European Commission: DG Environment, EDRC, Brussels, April 1999.